Among 13 other outstanding individuals slated to receive honorary doctorates from McGill University is Zarin Mehta, who will be presented with a Doctor of Music at the music convocation ceremony on May 30, 2018. 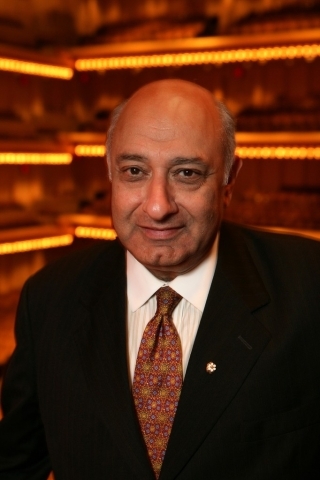 Always passionate about music, Mehta began his career as a chartered accountant at Coopers and Lybrand before stepping into the role of Managing Director of the Orchestre symphonique de Montréal (OSM) in 1981. Later, he went on to act as the Executive Director of the Ravinia Festival, President of the New York Philharmonic and lastly Co-Executive Director of the Green Music Center at California's Sonoma State University before his retirement in 2017. In each of these positions, Mehta made a remarkable impact – but especially noteworthy for Montreal would be his work with the OSM, which gained the orchestra never-before-seen financial stability as well as international renown. Even after his official retirement, Mehta continues to impact Montreal's music community, as the Concours musical international de Montréal recently announced that he will be acting as president of the jury for 2018's competition. View the McGill University Spring 2018 honorary doctorate schedule here.